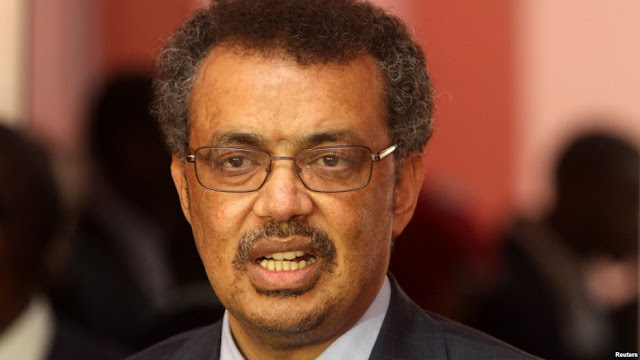 Ethiopia's candidate for Director-General of World Health Organization (WHO), Tedros Adhanom, shocked many observers when he displayed a complete lack of knowledge about global health strategies during a candidates’ forum on November 2, 2016. Though Adhanom has served in the Ethiopian government as both minister of health and foreign affairs, he failed to answer a basic question about his claims that he is running a campaign on a framework that promotes the health needs of the developing world. “Sorry, the question is not clear, can you clarify?” he answered, when a representative from Brazil asked him to explain why he claims to represent the developing world, when the agenda he advocated in his presentation espoused the health agenda of the developed world. Instead of answering the question, Adhanom tried to engage in a conversation with the Brazilian representative, apparently hoping to grasp what the question meant. Awkwardly, the moderator intervened, trying to help Adhanom understand the question. This embarrassing performance could hurt Adhanom’s current political campaign for the post of head of the global health body. Recently, he was relieved of his ministerial duties in the Ethiopian government, following a cabinet reshuffle. During his presentation last week, Adhanom said the Ethiopian government replaced him with a new foreign minister, so he could focus on the campaign. Though he's endorsed by African Union, Adhanom has been under continuous assault from prominent members of Ethiopian civil society and opposition groups, who argue that his ties with the Ethiopian regime should disqualify him from leading WHO. These groups have also started an online petition. When Adhanom launched his campaign in April 2016, Ethiopia was beset by anti-government protests. Citing the government's violent actions against protesters, 20 Ethiopian political and civic organizations signed a letter declaring Adhanom unfit to lead the World Health Organization, saying he is the face of the regime. The letter refers to an audit conducted by the Office of the Inspector General, which was prompted by reports of “mismanagement of money and incompetence.” Subsequent research available on the Internet confirmed that the audit uncovered detailed evidence of financial mismanagement. In a separate letter, one activist outlined his reasons why Mr. Adhanom should not be allowed anywhere near the World Health Organization. Adhanom’s shallowness and cluelessness in matters of foreign policy and diplomacy are simply incredible. Adhanom’s diplomatic speeches are chock full of platitudes, clichés, buzzwords and hokum. He has a distinct proclivity to frame complex issues in worn out and left over phrases from the days of student activism of his late boss, thugmaster Meles Zenawi. Adhanom manifests little understanding of international diplomacy and appears to lack even an elementary understanding of international law, treaties and conventions. Meanwhile, Adhanom has been making the case that he would bring a fresh perspective to the WHO's leadership. Other than the African Union, some pro-government diaspora groups and international figures have also backed his candidacy. Adhanom has relied heavily on social media to build his “brand” in Ethiopia — a country where access to social media is highly limited. Access isn't so restricted, however, that Adhanom's gaffes at the Nov. 2 forum haven't led to mockery online, where critics have enjoyed making fun of his surprising ignorance. On Twitter, the hashtag #NoTedros4WHO gained popularity, with many users arguing that Adhanom has disqualified himself from holding any position at the WHO.